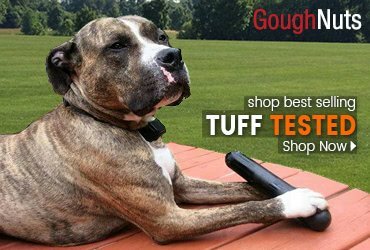 The Ultimate Bowmerang is tough, long lasting and great for beginning agility or flyball training. 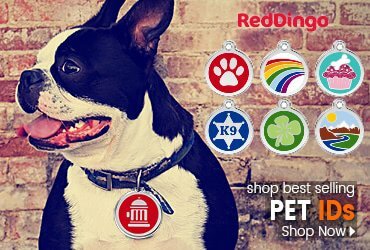 Squeaks to your dogs delight. 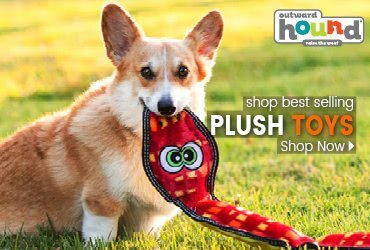 A wonderful dog toy for those dogs that like to play tug or whip their toys back and forth. 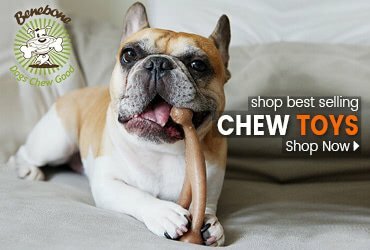 The soft edges are easy on your dog's gums and teeth. 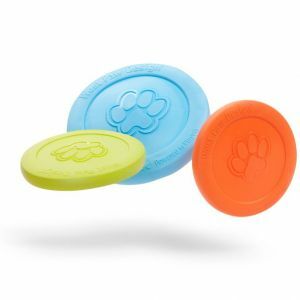 Squeakers: 3 Size: 10 x 10 x 2. 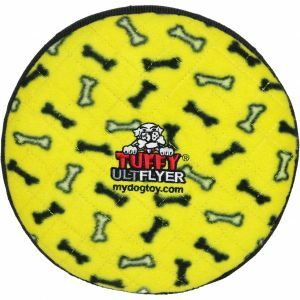 Tuffy Dog Toys are designed to be Interactive Play toys not chew toys.